Shay Assad, the Pentagon's Director of Defense Pricing, speaks to the audience at the SMC’s 2017 Space Contracting Executive Forum at Los Angeles Air Force Base in El Segundo, Calif., Aug. 23, 2017. Trump administration officials are removing the Pentagon’s top weapon buying negotiator, who racked up hundreds of thousands of dollars in travel costs and pushed a controversial plan to slow payments to defense contractors, Defense One has learned. 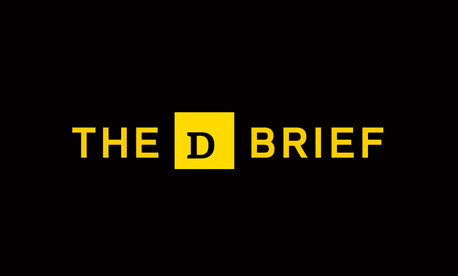 Shay Assad, a senior Defense Department bureaucrat, is being reassigned to a post in Massachusetts, one unconnected to the contract negotiating team he has led for seven years, according to current and former defense officials familiar with the decision. 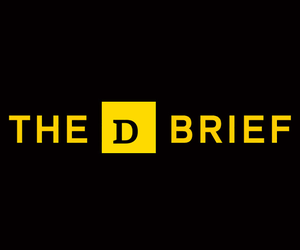 In the coming weeks, Assad will be moved from his position as director of defense pricing and contracting initiatives to a lateral position within the Defense Contract Management Agency in the Boston area, current and former officials said. The move comes after Assad championed a plan to change how the Pentagon pays defense firms, by tying contractor payments to their performance instead of to production milestones. Top Pentagon officials say they were not fully clued into the details of the plan, to which defense firms and lawmakers vocally objected. Assad had a special arrangement that allowed him to live in the Boston area and commute regularly to Washington, current and former defense officials said. Neither Ash Carter, then the Pentagon’s acquisition chief, nor his successor Frank Kendall objected to this arrangement, because they viewed Assad as unusually good at saving taxpayers’ money. But the Defense Department spent $502,758 between 2012 and 2019 on Assad’s “transportation costs,” Lt. Col. Mike Andrews, a Pentagon spokesman, said in an email. Over that time, Assad came to Washington 377 times, spending a total of 1,333 days in city. Between 2012 and 2018 Assad averaged one trip per week. Some officials equated it to the arrangement former Defense Secretary Leon Panetta made with President Obama that allowed him to regularly fly home to California where his wife lived and the couple had their permanent home. But Ellen Lord, the current undersecretary for acquisition and sustainment, has stopped paying for Assad’s travel between Boston and Washington, officials said. Officials also say Assad’s reassignment is, in part, due to a sweeping reorganization of the Defense Department’s acquisition directorate in which leaders determined they wanted the head of pricing to be located inside the Pentagon. “The Department does not comment on personnel matters,” Andrews, the Pentagon spokesman, said in an email. Assad, in an email, said the Pentagon would not allow him to comment on the record. Current and former Pentagon officials describe Assad as a shrewd negotiator who has saved taxpayers hundreds of millions of dollars by getting better deals with major defense contractors. He is credited with getting the Pentagon lower prices on F-35 fighter jets and with allowing SpaceX to compete for government rocket launches, lowering the cost of putting satellites in space. In 2015, Assad won a Presidential Rank Award, which honors “senior career employees with a sustained record of exceptional professional, technical, and/or scientific achievement recognized on a national or international level.” In 2016, the Pentagon credited Assad with saving taxpayers $500 million in his negotiating deals for C-17 transport planes, Apache attack helicopters and F/A-18 fighter jets. But some current and former officials also describe him as a bully who needed to be monitored by his superiors out of fear he would overstep his authorities. In March 2017, Assad praised President Trump, who in just two months in office had drawn attention to the high cost of the military’s weapons and began personally negotiating aircraft prices with the CEOs of Boeing and Lockheed Martin. Much of the defense industry loathes negotiating with Assad, thanks in part to his demands for detailed documentation of the costs incurred while building weapons, several sources said. In March, Lockheed Martin’s CFO Bruce Tanner said that in recent years that negotiating with the Pentagon had become increasingly unpredictable — though he did not specifically mention Assad in his comments. Then came the proposed rule that would have slowed payments to contractors, which sent defense firms into a frenzy. The three trade associations that represent aerospace and defense companies openly voiced their opposition — as shown by presentations at a September public meeting about the rule changes. When Wall Street caught wind of the rule change, shares of defense firms slid, including those of Lockheed Martin, Raytheon, Northrop Grumman, and General Dynamics. A second public meeting, scheduled for Oct. 10, was canceled after Shanahan said on Oct. 1 that the Pentagon would rescind the proposed rule change. Two days later, Shanahan told reporters he got involved after getting the letter from Inhofe and Thornberry about the issue. He said he met with Lord, Assad’s boss. But despite that, the rule change made it into the Federal Register in August and a public meeting was held in September. 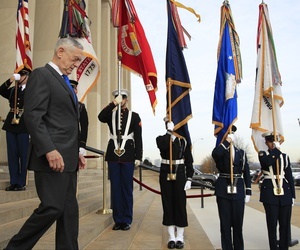 On Monday, Lord told reporters at the Pentagon that steps were being taken to make sure senior officials are involved earlier in the rulemaking process. 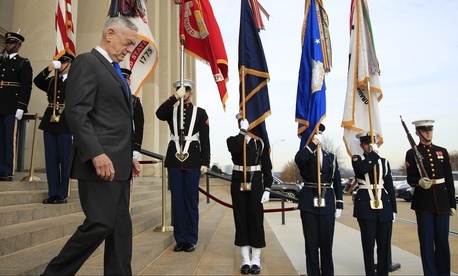 Mattis quits; Trump orders Afghan drawdown; Space Force under Air Force; Chinese hackers indicted; And a bit more.